Vevo LLC, a provider of music videos on Google Inc. (GOOG)’s YouTube, started a 24-hour music network that begins online and will expand to pay-TV later this year, seeking subscriber fees like those paid to MTV and VH1. The broadcast-style network became available today for U.S. and Canadian viewers through the New York-based company’s website, mobile applications and video-game consoles, Chief Executive Officer Rio Caraeff said in an interview. The goal is to increase advertising sales and create a potential new source of revenue from pay-TV subscriber fees. Vevo TV will schedule blocks of high-definition music videos, original programs and concerts, and eventually hire on-air hosts, Caraeff said. The company, controlled by Vivendi SA (VIV)’s Universal Music and Sony Corp. (6758), is talking with pay-TV services to carry the channel before year-end, he said. Viacom Inc. (VIAB)’s MTV collects 41 cents a month per subscriber from pay-TV systems, according to estimates from SNL Kagan. The network is available in about 98 million U.S. pay-TV homes. VH1, also owned by New York-based Viacom, collects 19 cents a month, while Madison Square Garden Co. (MSG)’s Fuse receives 6 cents, according to Kagan. VH1 has 97 million subscribers, while Fuse has 56 million subscribers, according to the companies’ regulatory filings. The TV initiative comes as Vevo seeks to raise money from investors, including Guggenheim Partners LLC, people with knowledge of the process said last month. Separately, YouTube is close to investing $50 million in the company, a transaction valuing Vevo at about $650 million, people with knowledge of the talks said last month. A new distribution deal with YouTube is “nearing completion” Caraeff said, declining to provide specific terms. Vevo TV isn’t included in the YouTube agreement, he said. Vevo TV’s initial sponsors are State Farm Life Insurance Co., McDonald’s Corp. (MCD) and film studios. The channel will show a commercial for every three to four videos, Caraeff said. Ad rates on Vevo TV are equal to the on-demand service, he said. Commercials shown on Vevo TV can be tailored to viewers, a process called dynamic ad insertion, Caraeff said. That means during commercial breaks viewers will be shown ads based on their interests, even on pay-TV systems. “We have the ability to personalize ads for users based on their registration data,” he said. The cost of starting the network was minimal, Caraeff said, declining to provide a figure. The company has hired about six employees. 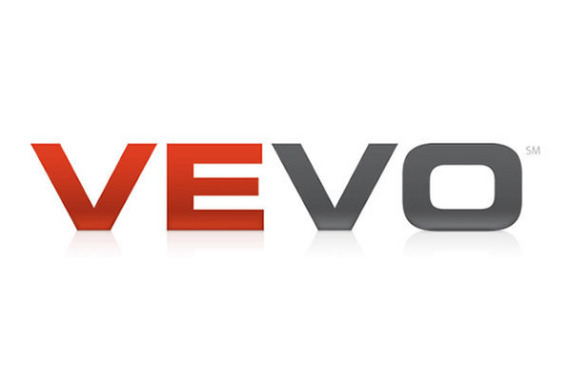 Also today, Vevo re-branded the company, including a new logo and other graphics, Caraeff said.